PurrWhiffeez -Valerian toys have a whole lot of Wiff to make your cat Purr Crazy!! 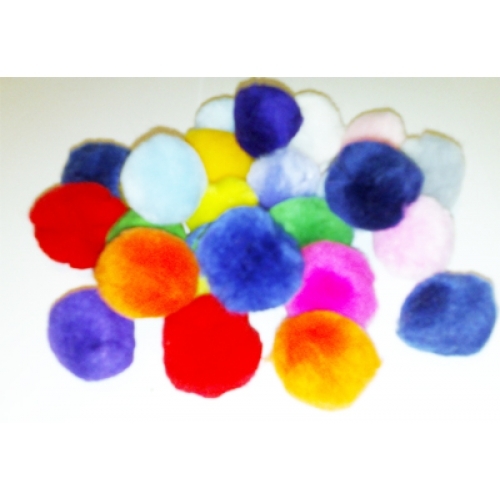 Our Valerian cute Pompoms are scented with VALERIAN root making these fabulous toys a favourite carry and batting cat toy! Our PurrWhiffeez Pomz are Soft Fleece Fabric. Cats may enjoy playing with toys that contain Valerian root and infused with Valerian scent. The plant does not attract all cats, but many cats respond to and love it. The reaction includes licking / biting the Valerian impregnated toy, kicking with front paws and back paws (bunny kicking), rubbing their face on it, slobbering and becoming highly excitable. All great fun! Safety - As with all cat toys - Supervise play and replace if damaged. VALERIAN (VALERIANA OFFICINALIS) -What is Valerian and is it Safe for my Cat? Valerian (VALERIANA OFFICINALIS), a common plant used in human herbal medications, contains a chemical akin to catnip that attracts cats. Valerian (Valeriana officinalis), a member of the Valerianaceae family, is a perennial plant native to Europe and Asia and naturalized in North America. Valerian is also known as garden heliotrope, other names include setwall (English), Valerianae radix (Latin), Baldrianwurzel (German), and phu (Greek). The root of the Valerian plant has been used for centuries to treat everything from anxiety to insomnia in humans. Valerian is one of the best-known herbs for promoting a good night's sleep and easing nervous tension. Its sedative effects were first recognized in the seventeenth century, and since then it has enjoyed a long history of safe and effective use. Its Latin name, Valeriana, means "well-being". In popular lore, it is known as cat's valerian or moonroot. The intensity of a cat's reaction to valerian was once used to determine the quality of valerian products in 18th century apothecaries. While the human response is one of sedation and relaxation, Cats are driven into a euphoric frenzy by the smell of valerian root and affects the domestic cat in a similar way as that of catnip. The cat attractant chemical in Valerian is Actinidine, a pyridine derivative present in the essential oil of valerian, which causes similar effects to nepetalactone (the active compound in catnip). Catnip-responders are often also valerian-responders. Older information may refer to the active ingredient in the root as Valerinone. To humans, valerian root has an unusual smell akin to sweaty socks! Is it Safe for my cat? Cats have been naturally attracted to the Valerian Root for centuries in the wild. In clinical studies,Cats who digested 10 mg/kg of a valerian extract had a significant decrease in restless, fearful and aggressive behaviours. Scent stimulation with a behaviour with a simular reaction to Catnip. Cautions:- Valerian as an essential oil (ie unnatural oil form produced for human use), should not be given directly to cats as in this form it is too strong. The dried root (natural form) or diluted spray can be incorporated / infused into toys. Some components of valerian if injested are metabolized in the liver and may increase results of liver/kidney function tests ,Cats with Liver illness should avoid digesting the root. Used as a scent stimulation within toys, natural Valerian root is safe for cats. Our Purwhiffeez Valerian toys all contain High Quality Pharmacy Approved dried chopped Valerian root which is safe and natural, we do not use processed Valerian oils or essences.